I have always been an overachiever: straight As, the top of my class; whatever I endeavored, I aimed to be the best at it. I strived through high school, college, graduate school, and in the corporate world. My hard work came with awards, accolades, and the feeling of accomplishment. But it also came with burnout, exhaustion, and the feeling of never being good enough. Even though it didn’t feel good, I repeated this pattern of strive + achieve + repeat at every level in my life, until I had an epiphany. It happened a few years ago when I traveled to Bali for a yoga retreat. While exploring the small third-world island, I noticed the locals with modest homes tending their fields, or running their local shop. One thing stood out: They all seemed incredibly happy—or at the very least, content—with their lives. This struck me for a couple reasons. For one, they didn’t live lavish lifestyles or have big houses or fancy cars. They weren’t climbing any corporate ladder or angling for a big promotion. But this didn’t matter. They appeared to be present, at peace, and enjoying the simple things that life offered. I started to question my own desire for striving, for perfection. I wondered if all my efforts were actually keeping me away from the peace and acceptance I desired most. It seemed like a vicious cycle. After I left Bali, I kept this idea of “maybe it’s okay not to strive” in my head. And instead of embracing my perfectionist tendencies, I started to consider another way. Throughout the years since my trip, I haven’t totally abandoned my high-achieving ways (though I’m still working on it). But I’m now able to see that there is a time to strive and a time to let go. A time to make things happen and a time to allow things to happen. And, perhaps even more importantly, I learned that you can’t necessarily strive your way to happiness. In fact, it’s often the path of surrendering, accepting, and being at peace with where you are that truly helps you tap into that sense of contentment and ease. So if you find yourself over-efforting, working hard, toiling without any respite, it may be time to explore the opposite path: surrender. When you surrender, you invite life to flow as it will and you roll with the current instead of fighting to swim upstream. When you surrender to the flow, you open yourself to possibilities instead of forcing opportunities that might not be right. You embrace and honor where you are, without worrying about where you need to be. 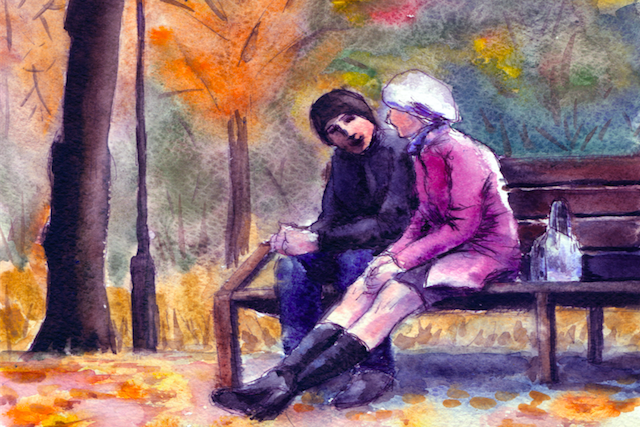 When you notice yourself striving but feel like what you really desire is peace, these ten steps help you to let go of the hustle and embrace the flow. Cultivating trust in yourself is by far one of the most grounding and stabilizing forces you can experience. Trusting yourself means that you know what’s best for you. In order to trust yourself, you must stop looking outside of yourself for guidance and start looking inside. Even as you seek advice or answers, always run it by your inner barometer to see if it truly resonates with you. 2. Know that you already have the answer. Your answer might be blocked by fear and resistance. But when you find a way to put aside those fears, you can tap into what your intuition is telling you. Know that the answer already resides within you, even if it’s not clear at this moment. One way to get better acquainted with your intuition is to ask yourself what your gut is telling you. Over time, the more self-aware you become, the easier it will be to hear the voice of your intuition. 3. Recognize that what you want to achieve is already within you. In order to have conceived a dream, you must already have created somewhere in your mind. When we desire something, we imagine it in great detail, and feel what it would be like to experience it. The simple fact that you’ve seen or imagined that vision for yourself means that the outcome is possible for you. Believing that you can—and will—bring this vision to life is the key to receiving it. Resistance comes to us in the form of fear, self-doubt, procrastination, and other roadblocks. It shows up in our lives when we are at the precipice of doing something important and meaningful to us. When you recognize resistance as a sign that you’re about to do something big, you can learn to embrace it as the powerful messenger it is. Instead of letting it debilitate you, you can see resistance as a sign that illuminates where you must go. The path to your desired destination may be a winding road and not a straight line. It might even have some cutbacks and hills involved. But you won’t get to where you want to go unless you’ve first learned the lessons from the present. Play the hand you’ve been dealt and trust that this is all part of your journey. There is something in your experience right now that is critical in helping you to become the person you need to be to move to the next level. When we have a dream or a wish for ourselves, we can become very attached to it, and guard it preciously. You conceived your vision and believe in it. Now you can release it and be free from it. This doesn’t mean you don’t take any action, but it means you’re not holding so tightly to your vision that you worry about taking only the perfect action. Set your vision free into the universe and trust it will happen in its own time. Remember to play and enjoy the process. “Life is what happens when we’re making other plans,” John Lennon said. When you feel yourself waiting, overthinking, indulging feelings of doubt, take this as an opportunity to seek out what makes you feel good. Ask yourself what would make you happiest in any moment, and go do that. Seek activities that you fill you up. Wash, rinse, repeat. Inspired action means action from a place of feeling pulled toward something, inspired by something, and from a place of “want.” This is directly opposed to taking action from a place of pushing, striving, or a place of “should.” Follow the pull, not the push. Don’t worry about what you or others think you “should” be doing. Explore what you feel called to, and let yourself be guided by your inspiration. 9. Tap into your intuition along the way. If (when), along the way, you feel disheartened or discouraged, impatient or impotent, anxious or depressed, simply press the “PAUSE” button and take a big, long, deep cleansing breath. This is the perfect time to turn back inward and listen to your intuition: your built-in, always-available inner guide. What is your intuition telling you? What do you need to know right now? 10. Let the universe support you. Sometimes it’s not a matter of making things happen, but a matter of letting things happen. Instead of mucking around in the road, get out of your own way. Sit down on the path and open up to receiving what is meant for you. When you stop striving and start surrendering, you will see the infinite possibilities and opportunities that exist in every moment. You’ll tune in to the frequency of the universe, and she’ll show you the way. Throughout our lives, there will be periods to achieve and periods to receive. Once you tap into your own self-awareness, you can recognize what pattern you’re currently in, and whether or not it’s serving you. If you’ve been striving for too long, it might be time to surrender to the flow. Remember that surrendering is not quitting. It’s honoring yourself where you are at this moment in time, and allowing what you want to catch up with you. It’s taking time out for yourself and reflecting on what’s important. So that once the time to strive comes back around (which it will! ), you will be supported with the energy, the purpose, and the guidance you need to move forward. Stacey Hagen is a coach and consultant who helps entrepreneurial women discover and develop lives and businesses they love. She is an avid traveler, adventurer, and life-long learner whose mission is to inspire and empower other women to live their lives full out. You can visit her at createcoachingconsulting.com and contact her at stacey@createcoachingconsulting.com. 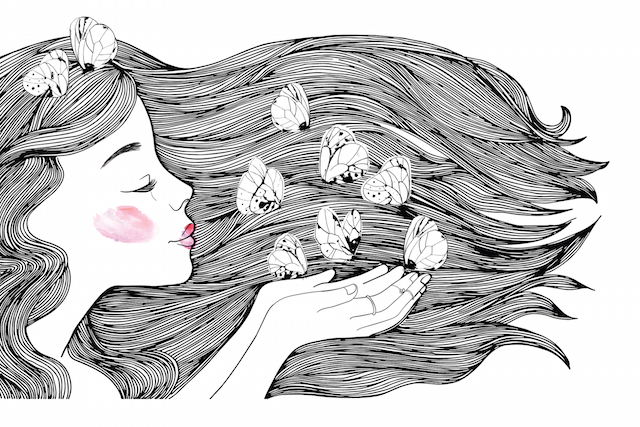 The post 10 Ways to Let Go of the Hustle and Surrender to the Flow appeared first on Tiny Buddha.